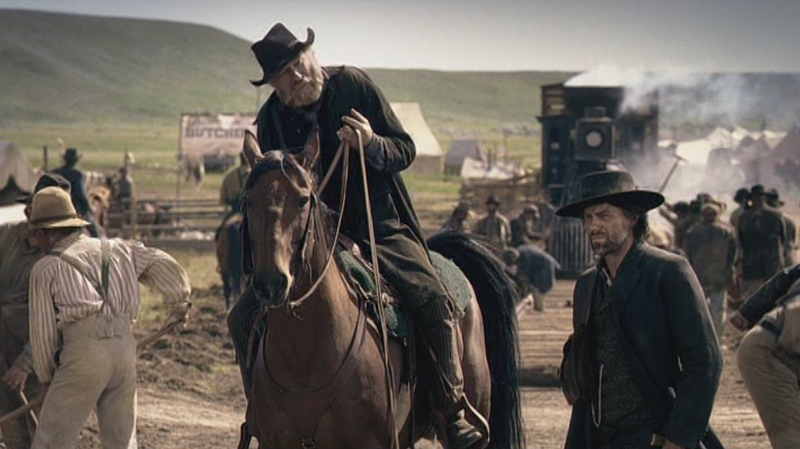 The first season of Hell on Wheels largely centers around Cullen Bohannon’s quest for vengeance in seeking out those who murdered his family. This quest is his singular focus during the season, particularly early in the season. As Durant’s right-hand man, The Swede is prominently featured maintaining strict security while continuing to undermine Cullen. Moral and identity struggles are common themes throughout the season… stemming from Cullen’s personal vendetta, Elam’s struggle with equality, and Lilly’s independent struggle with establishing her own identity separate that of her dead husband.